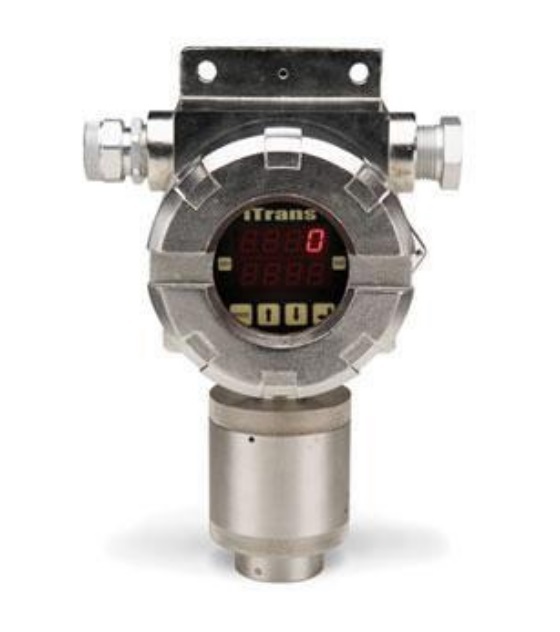 The Oldham iTrans fixed-point gas monitor employs an intelligent electronics platform to provide one or two points of detection from a single head for maximum flexibility, superior performance and lower installation costs. Able to monitor any combination of gases for a specific environment, iTrans utilizes our industry-proven "smart" sensor technology and safety features including automatic sensor recognition, access code security, and zero and cal fault protection - all enclosed within an explosion-proof aluminum or stainless steel housing. The microprocessor-controlled transmitters are capable of independent operation or multi-point system configuration. With optional on-board relays, the monitor has the added ability of stand-alone operation, activating alarms, horns, or fans and can also shut down a system without the need to wire back to a central control panel.